Japanese musician wearing a plaid outfit with buckled boots, printed scarf, and colored contacts in Harajuku. A model and a fashion college student sporting red-hued streetwear styles while out and about on the Harajuku street. Harajuku girl in colorful twin tails and a kawaii look with robe, layered Korean fashion, ruffled hem pants, Dr. Martens glitter boots, colorful accessories and a two-tone glitter bow bag. Japanese student clad in an all plaid streetwear ensemble with a brown vest, leopard beret and leather boots. HEIHEI staffers decked out in plaid streetwear fashion while out and about in Harajuku. 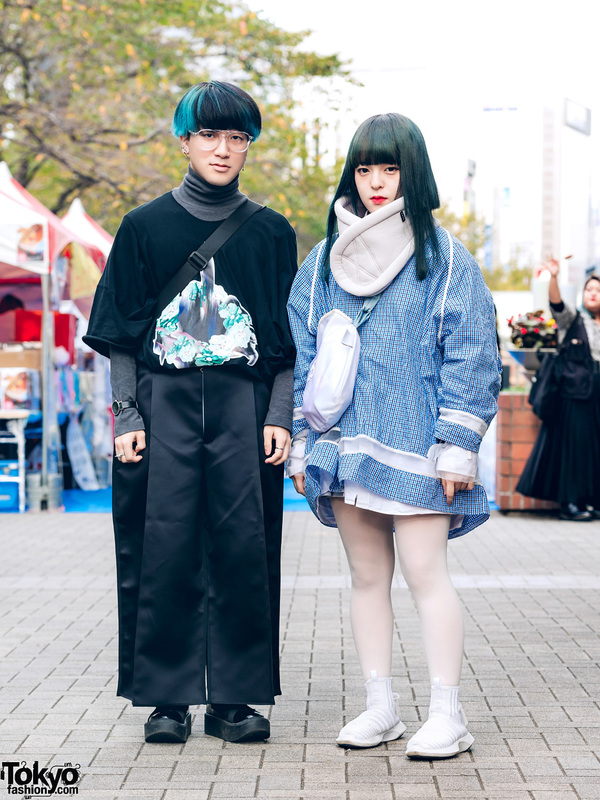 Harajuku duo wearing layered streetwear styles. Japanese student wearing a plaid top, black pants, and black monk strap shoes in Harajuku. Harajuku girls wearing matching HEIHEI Japan colored plaid outfits with Tokyo Bopper and George Cox shoes in Harajuku. 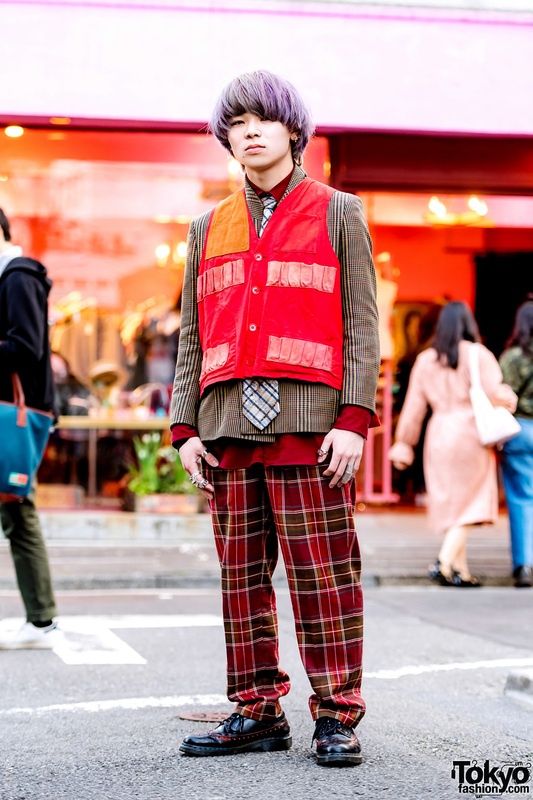 Japanese student in colorful printed streetwear, hunting vest, and dress shoes in Harajuku.